Centuries ago, the typical daily menu of the Slavic tribes in the area of modern-day Poland consisted of herbs and mushrooms. They also consumed a lot of grain, modest quantities of meat and vegetables as well as the ancestor of the beetroot soup currently known as barszcz. It wasn't exactly a paleo diet, but it certainly was a Polish diet, and modern health-conscious foodies would do well to give it a look. 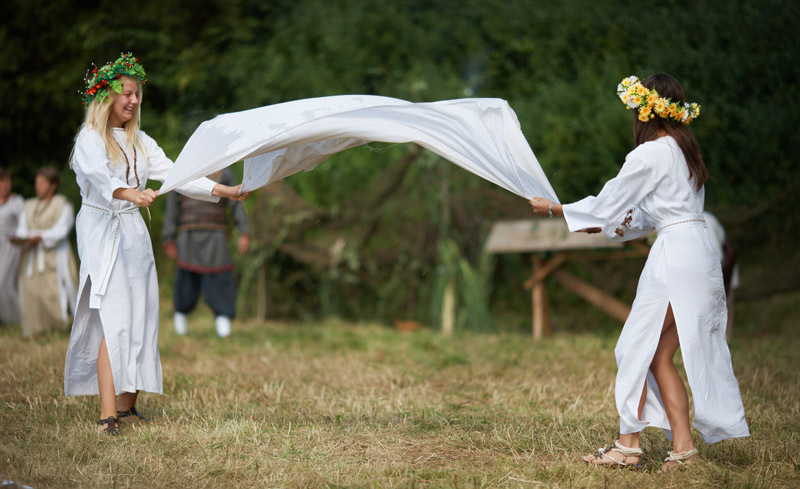 Historians postulate that Slavic tribes arrived in Central Europe around the 6th century CE. They began to be called Poles under the rule of 10th-century prince Mieszko I, who is widely considered to be the first Polish head of state. The early culinary practices described below date back from that era up until the 13th century, when the Polish and Lithuanian crowns were united. While some of these customs are long gone, some are still observable in contemporary Polish cuisine. For example, soups with greens (like sorrel or beetroot stems) are still very popular. So what did the earliest Poles and their ancestors eat? Typically, a lot of herbs and mushrooms ‒ non-hallucinogenic varieties though. Herbs such as dill, garlic, mustard and coriander were used to season soups and to add flavour to other foods (no chilli, curry or even sugar back then). 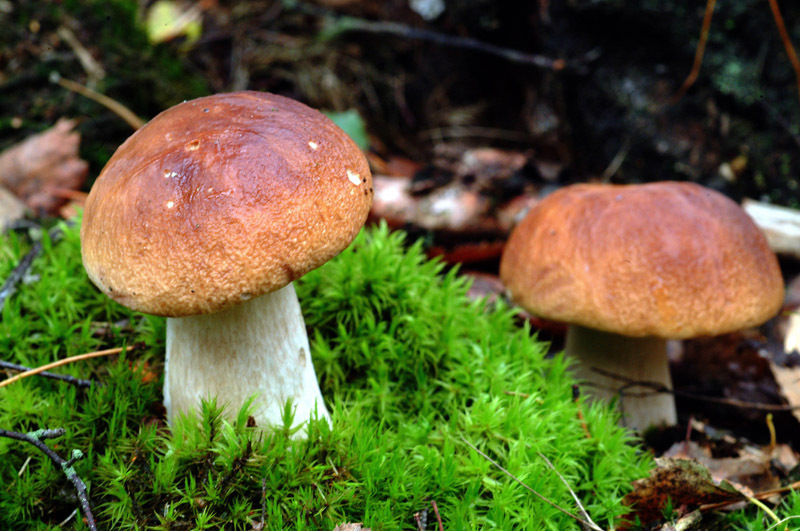 Wild mushrooms were an important addition to meals in those distant times when it was necessary to supplement agricultural food stock with foraging. Dried mushrooms were most probably stocked up for the long winters as well. Grains were also a menu staple. Standard grain crops of the period included millet, barley, wheat and oats. They were used to make a popular meal called bryjka. 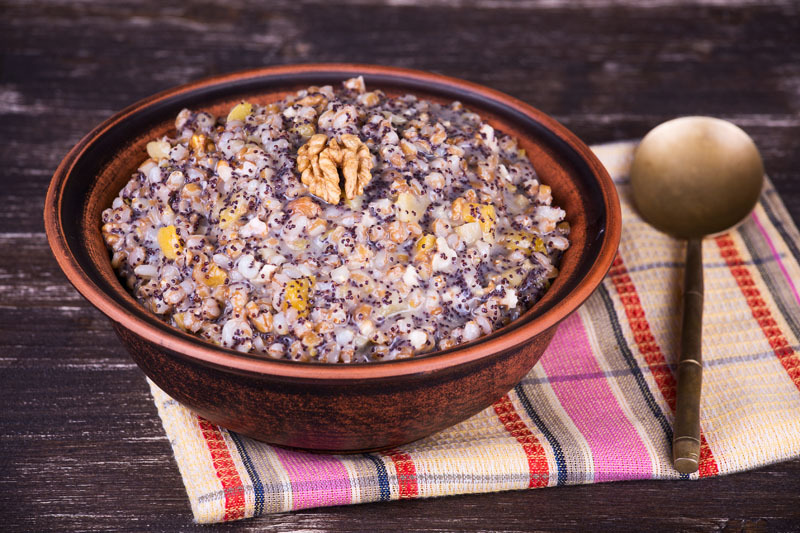 This simple dish was made from bruised grains boiled into a mush. It could be served sweet, with fruit and sometimes even honey (a rare treat!) or savoury, with herbs, salt (also precious) and possibly lard or mushrooms. Cultivated fruits included apples, pears and peaches. Plums, cherries and berries were also consumed. ‘They don’t eat chickens because they believe they cause a loss of strength and a red rash. They eat the meat of cows and geese, because that serves them well.’ These words by Abraham Ben Jacob, a Jewish traveller who visited Slavic territories in the 10th century, describe the meat-eating habits of the ancestors of Poles. Back then, proto-Poles also subsisted on pork, fish and game. Meat was often preserved by smoking. Soups were commonly made from plants and vegetables like carrots, turnips and parsnips. A certain sour soup prepared with hogweed was called barszcz. The name (which nowadays refers to beetroot borscht) was also used to designate various other plant and vegetable soups. Barszcz is alive and well in Poland still, with many varieties available year-round: red barszcz, white barszcz or Ukrainian barszcz. 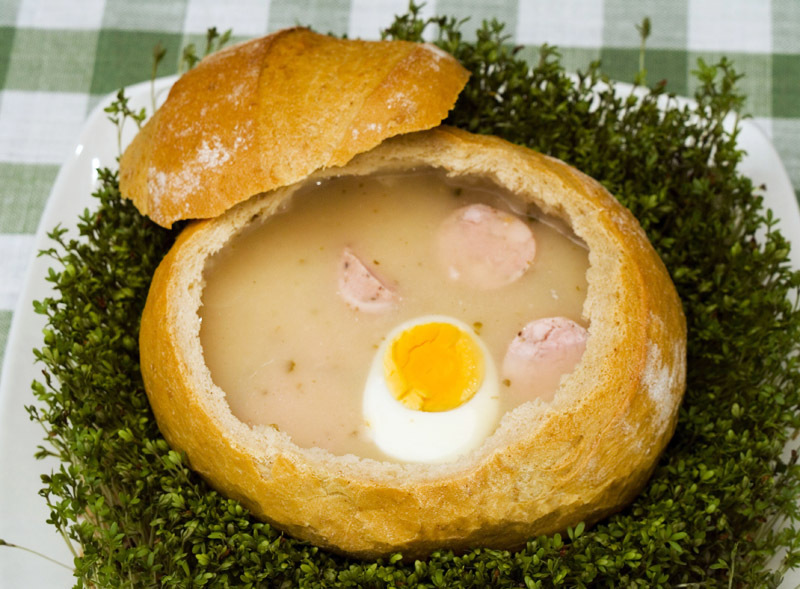 Another strange soup with old roots is żurek, a broth made with fermented rye flour. It is believed that this dates back to several flour-based soups prepared by those Slavic tribes. 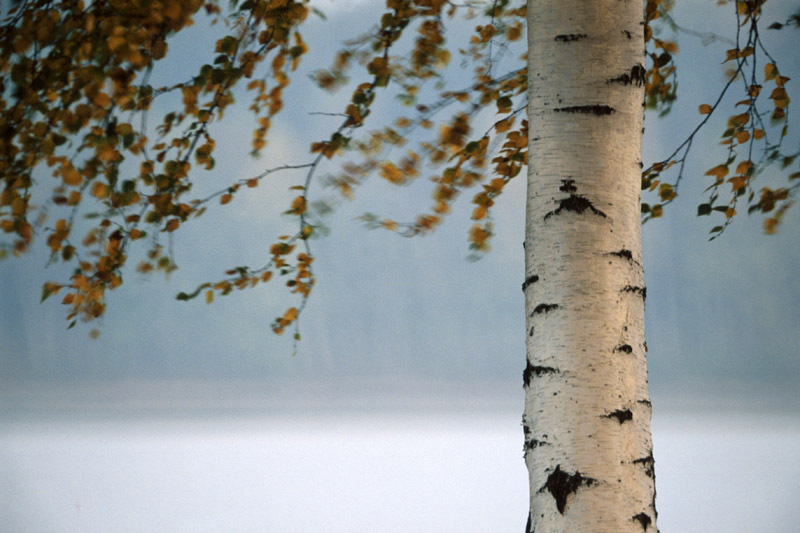 To wash down their meals, the first Poles and their ancestors drank birch sap harvested from trees during spring. Other non-alcoholic drinks included water and milk. If they wanted stronger stuff, they could turn to beer, mead and kwas, a low-proof beverage made from water, wholemeal bread, yeast and honey. If you want a sip of the past, look for birch sap, called birch juice these days, or kwas on the shelves of a Polish store near you – they’re still popular!